Designed for family camping adventures, the Coleman Family Cookware Set, 6-Piece, provides all the cookware needed to prepare hearty meals outdoors. 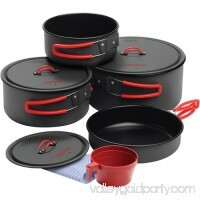 This nesting camping cookware set includes a 10-inch frying pan that lets you fry eggs for breakfast, 2.4-quart saucepan with lid for heating up chili for lunch, and 6.9-quart stockpot/kettle to easily handle heating soups and boiling water. Cutout areas in the lids enable straining when making pasta dishes, while the textured grip handle provides a steady and comfortable hold. 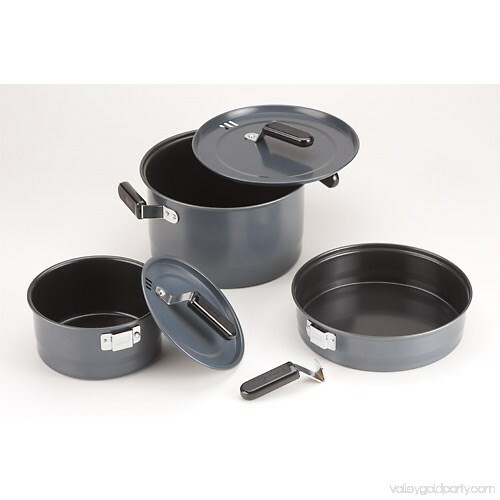 The included detachable handle fits both the frying pan and kettle, so you can move the camping cookware with comfort and ease. 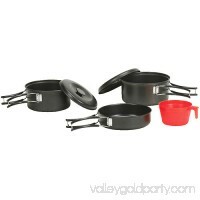 Built from commercial-grade steel, this set withstands high heat and also features riveted and plated handles and mounts for increased durability. 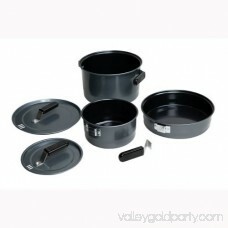 The nonstick surfaces make this camping cookware set quick and easy to clean when mealtime ends. 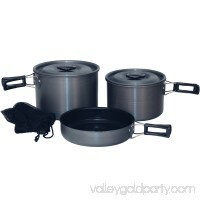 Enjoy your meals outdoors with the Coleman Family Cook Set. 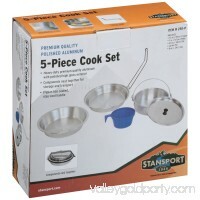 It is helpful at the campsite or anywhere you need a complete set of cookware for travel. 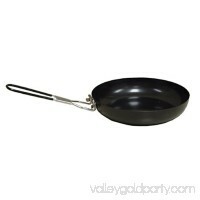 The first piece in the non-stick cooking set is a 10\" frying pan for cooking eggs, fish and sides. 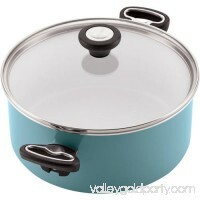 Next, a six-quart kettle with lid is ideal for chili, beans or stew. 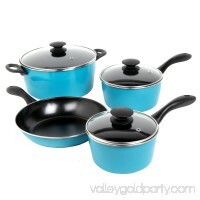 The included 2.5-quart saucepan completes the set. 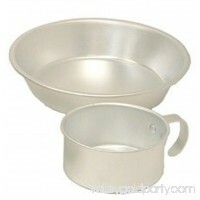 They have a lid and a handle for the frying pan and saucepan. 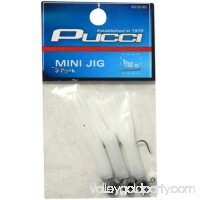 Having a handle that is detachable makes it easy to condense your carrying load while hiking. 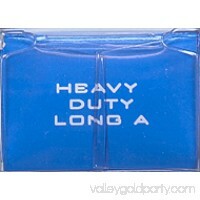 Each piece is constructed of heavy-duty durable steel with riveted plated-steel handles. 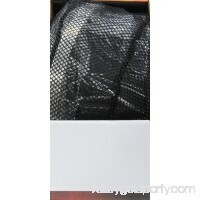 The interiors are coated with a non-stick surface, making cooking and cleaning a breeze while you are camping. 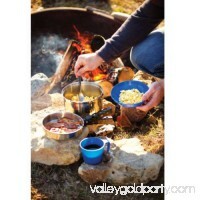 With this outdoor cook set by Coleman, you can make your campfire chili, stew and morning eggs and pack up again when you are ready to go.